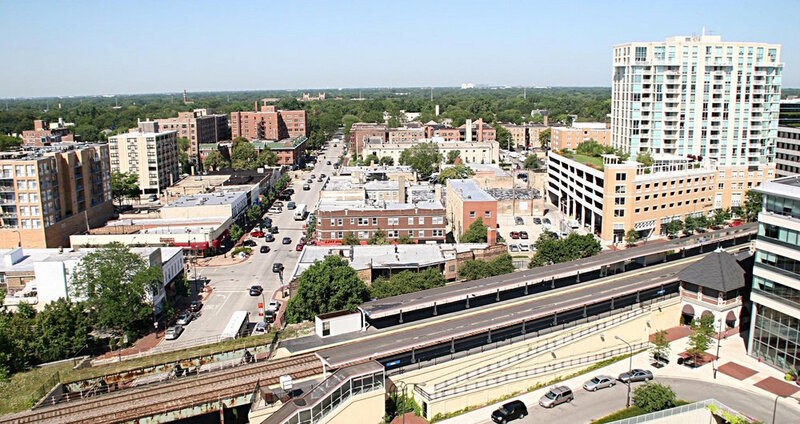 Downtown Evanston provides a range of services to the downtown business district including marketing and advertising, special events, garbage removal and seasonal landscaping, holiday decor, business attraction and more. Below is a list of resources to help market and promote downtown businesses as well as information on snow removal. Below is a list of special events for 2019. Contact Laura Brown at lbrown@downtownevanston.org or 847-866-6319 if you have any questions. 10-concert series every Thursday night from 7-9pm at Fountain Square. Sponsorship opportunities available. Businesses provide free sample of wine or another beverage to attendees. All storefront businesses welcome to participate. Fitness businesses lead free classes at Fountain Square. Businesses move sale items to the sidewalk for the weekend! All businesses invited to participate in the Chalk Art contest where they work with an artist or family to decorate the sidewalk in front of their business. Prize for winner. City of Evanston, Northwestern Athletics and Downtown Evanston host a back-to-school block party at Fountain Square (Sherman Ave. between Davis & Grove St. is closed for the event). Restaurants provide a free bite-size sample to incoming Northwestern students (1500-2000 students). Businesses offer candy or another treat to trick-or-treaters. Shopping and dining deals offered throughout downtown Evanston. Downtown Evanston organizes a Passport Program with giveaways for shoppers that spend a certain amount. Businesses offer a free sample of a warm beverage to attendees. We recommend offering a bounce back coupon to encourage people to return to shop or dine. Annual lighting of the holiday tree at Fountain Square with music, ice sculpture, other activities. Meet with Santa and Mrs. Claus at location TBD. Sponsorship opportunities available. Downtown Evanston operates a Street Pole Banner Program to help create a sense of place for the downtown Evanston business district. The banners add color, excitement and character to the streetscape while also calling attention to the healthy mix of businesses and services as well as the overall district. The 2010 banners have been installed but please contact Laura Brown at lbrown@downtownevanston.org or call 847-866-6319 if you would like more information. In addition, if you are interested in placing banners for a special event, please see the Special Event Banner application for more information. Downtown Evanston sends out a monthly e-newsletter to approximately 5,000 subscribers the first Thursday of every month. The newsletter features information about Downtown Evanston special events, business events, sales, promotions, and community events. If you would for your business' event to be featured in the e-newsletter, please email the information with a weblink and photo or graphic to lbrown@downtownevanston.org. In addition to the monthly e-newsletter we send out special event newsletters throughout the year. Some of these include the Thursday Night Live concert series, Summer Stroll, Sidewalk Sale, Oktoberfest, Small Business Saturday and the Holiday Tree Lighting among others. If you are interested in learning more about any of these events, please email lbrown@downtownevanston.org. Downtown Evanston manages Facebook, Instagram and Twitter accounts for the business district. Share your business photos with us tagging @downtownevanston and using the hashtags listed below. Note that our Twitter handle is @downtwnevanston. Downtown Evanston is running a 10-week advertising campaign with XRT Radio to promote Thursday Night Live concert series, Sidewalk Sale, Sip & Stroll and other summer events in addition to promoting downtown Evanston as the place to dine, shop, be entertained, stay, connect and more! The campaign runs from mid-June to August and includes 620x :30-second ads. We are reserving some of these for Downtown Evanston, but a majority of the ads will be part of a co-op advertising program. Each :30-second ad costs $25 and businesses must purchase 2 and can purchase a maximum of 8 ads. Similar to other co-op advertising programs we've done, the ad copy will open with "Visit Downtown Evanston this summer..." and end with our website and/or social media information, but otherwise the ad will feature information about your business whether it is a special event, sale, new menu item, etc. We will provide a template for ad copy closer to the date. Although the ad campaign does not start until mid-June, we want to get a sense of what businesses are interested in participating in this program. This is our third year running a summer campaign with XRT radio and we feel strongly that it increases traffic to our website and helps to brings new visitors to downtown Evanston. If you are interested in participating, please fill out this form. Please note that you must be a business in downtown Evanston. Contact Laura Brown, lbrown@downtownevanston.org if you have questions. In the event of snow, please remember that it is the responsibility of businesses, residents and landlords to remove snow and ice from sidewalks after a snow event. Below is a summary of the City of Evanston's ordinance. • Sidewalks should be completely cleared to allow everyone, including people with disabilities, children walking to school and the elderly, to travel freely using the sidewalks instead of the street. • Businesses are responsible for clearing sidewalks adjacent to their property; snow should be removed a minimum of 36” away from the building to avoid citation. • Snow should be removed as to not block any public right of way (alleys, sidewalks, fire hydrants and streets). Please note that Downtown Evanston does not provide snow removal service. The contract with our landscape vendor includes garbage removal 5 days a week, seasonal flower plantings, ground level plants and shrub maintenance and grass mowing, and an annual sidewalk power washing. If you need assistance finding a company to clear snow for you, please give us a call at 847-866-6319 or email info@downtownevanston.org. Thank you!